Like many Tennessee residents, my wife and I have signed our children up for the Imagination Library program which began as the brainchild of country-music singer Dolly Parton. 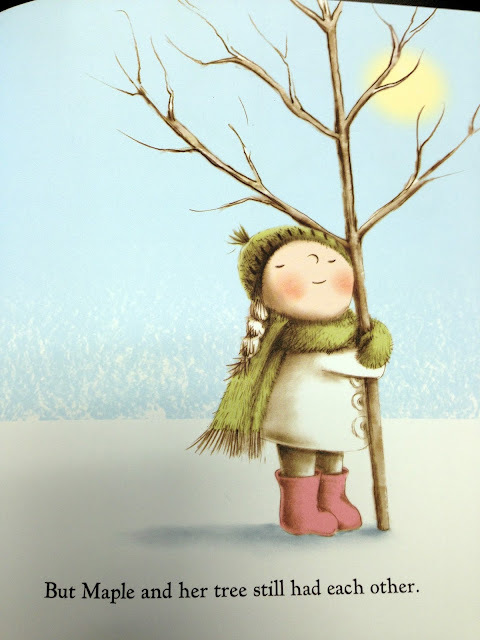 The idea is that any child in Tennessee is eligible to receive complementary age-appropriate books through the mail. Most of them are innocuous enough and concern shapes, colors, and the personification of zoo animals. But every now and then they will try and slip one by you and indoctrinate your children with their liberal propaganda. You will notice the conspicuous absence of wedding bands on her parents’ fingers and the fact that they refer to the human child growing in her womb as a “whisper” rather than a “baby.” It should also be noted that instead of putting an end to their sinful cohabitation, they decided to plant a tree. 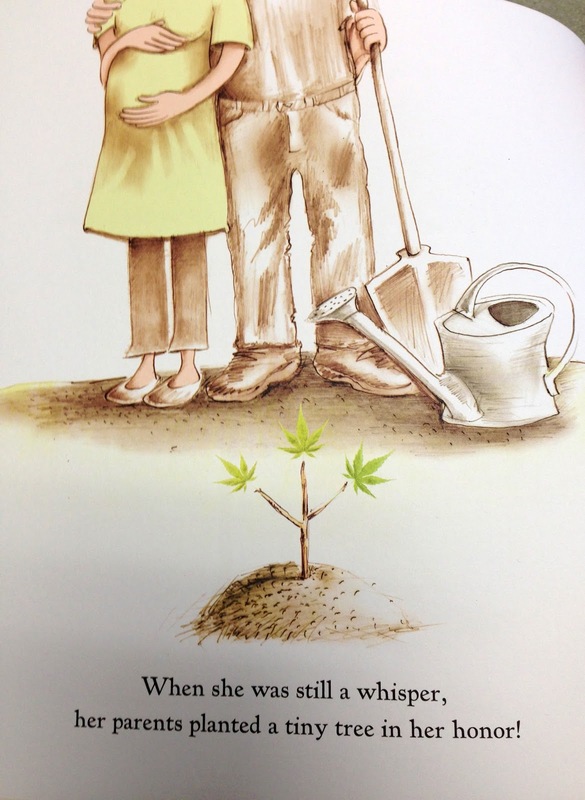 I suppose it is difficult to find time to properly consecrate a relationship when you’re volunteering at the global warming propaganda tent…..
By the book’s midway point, we are informed that Maple is lonely and has been forced to turn to foliage for comfort since her parents were probably too busy drinking and watching Michael Moore documentaries to tend to her emotional needs. Already we see that this impressionable young girl has literally been transformed into a tree-hugging hippie. Obviously still shackin’ up, Maple’s parent’s found themselves pregnant with another “whisper.” You will also notice the subtle disappearance of color from the parents’ wardrobe. This is indicative of the drab clothing of communism or perhaps even the final stages of cult assimilation. If you were waiting for an invitation to the child’s forthcoming baptism I wouldn’t hold your breath. 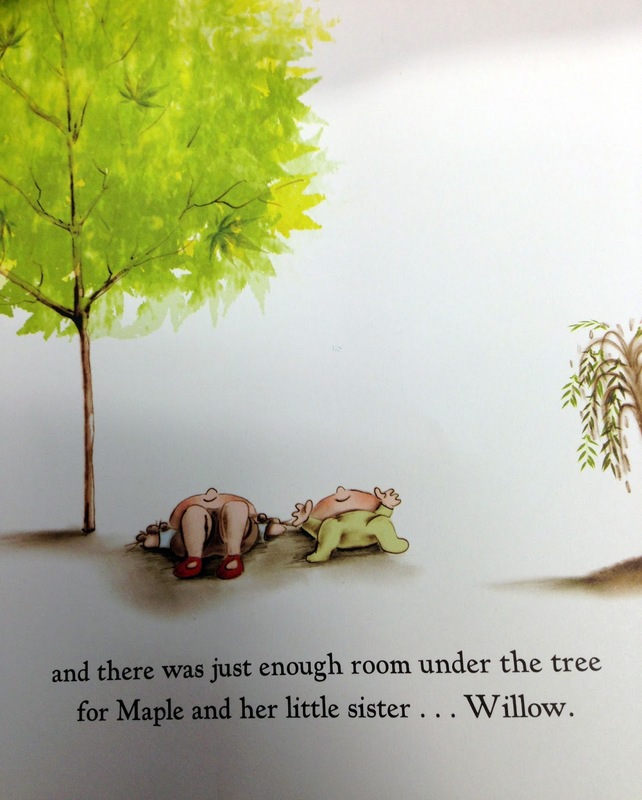 In the book’s finale, it is revealed that Maple’s sister was named Willow and also had a tree planted in her honor. 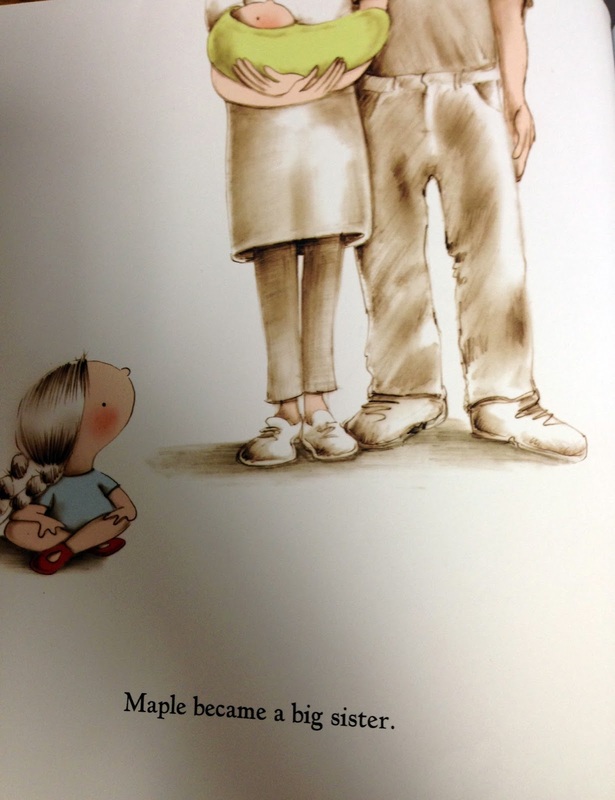 From the illustration, the two unsupervised children are left to fend for themselves while their godless hippie parents struggle to exploit the Federal government's welfare infrastructure. Maple, having dropped out of high-school to pursue exotic dancing full-time, has borne three children by as many men. She finds only scant comfort in her Wiccan coven and or the narcotics she pilfers from a few of her regulars. Her tree was lost to fire when her mom dropped a lit spliff during an unusually-dry summer. Willow has fared slightly better and even managed to turn a small profit by selling hemp undergarments at Burning Man which led to some freelance writing work with The Huffington Post. Despite these modest gains, she becomes fascinated by radical Islam and before long finds herself on the ground floor of the Syrian caliphate. Her tree still stands and is occasionally used to burn Ronald Reagan in effigy. Maple and Willow’s parent’s continue to avoid both personal responsibility and patriotism. They separated briefly when Maple and Willow’s father began a tertiary carnal relationship with a 19-year old named Conifer he met at an Occupy Wall Street rally.